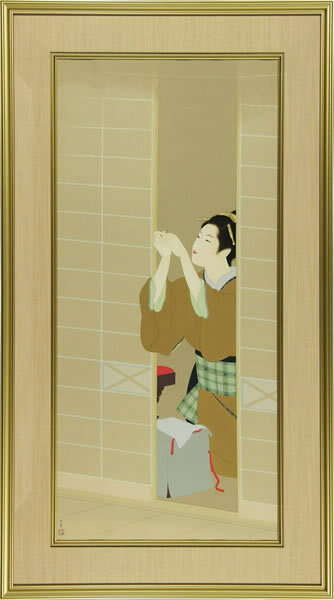 1875 - Japanese painter Shoen UEMURA was born in Kyoto. Her true given name was Tsune. 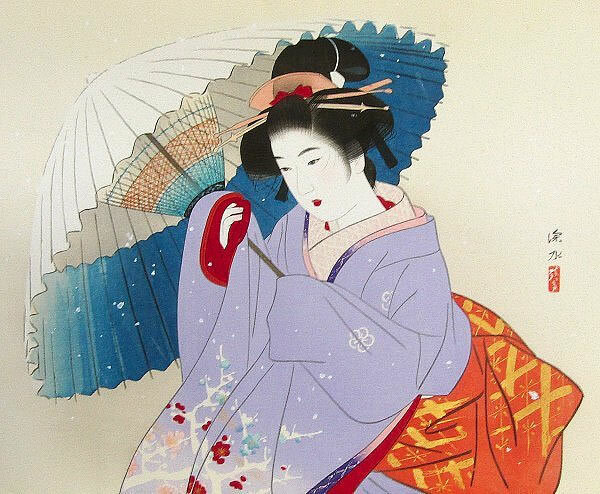 1887 - Entered Kyoto Prefectural School of Painting, and studied under Shonen Suzuki. 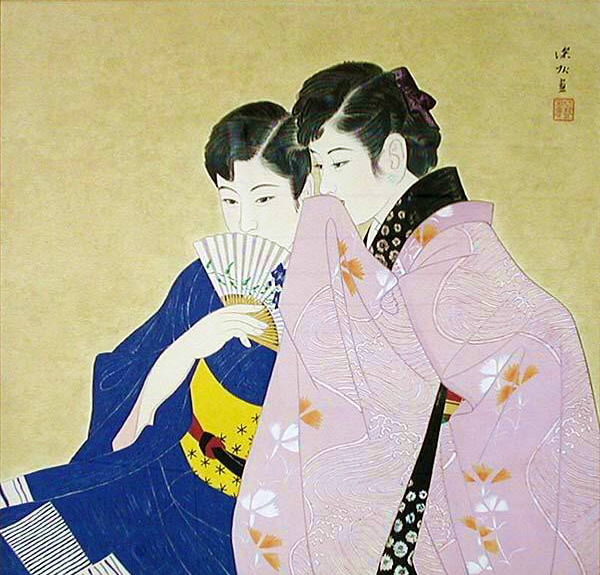 1888 - Left Kyoto Prefectural School of Painting. Became the pupil of Shonen Suzuki. 1893 - Became the pupil of Bairei Kono. 1895 - Became the pupil of Seiho TAKEUCHI. 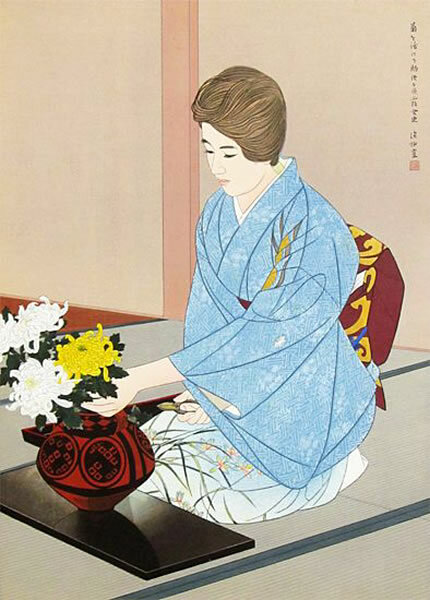 1900 - Exhibited at the 12th Exhibition of the Japan Painting Association, and won the silver medal. 1902 - Her first son, Shoko UEMURA was born. 1916 - Exhibited at the 10th Bunten exhibition, and became exempted from future examinations required to display art in the exhibition. 1924 - Appointed to the Judge of the Teiten exhibition. 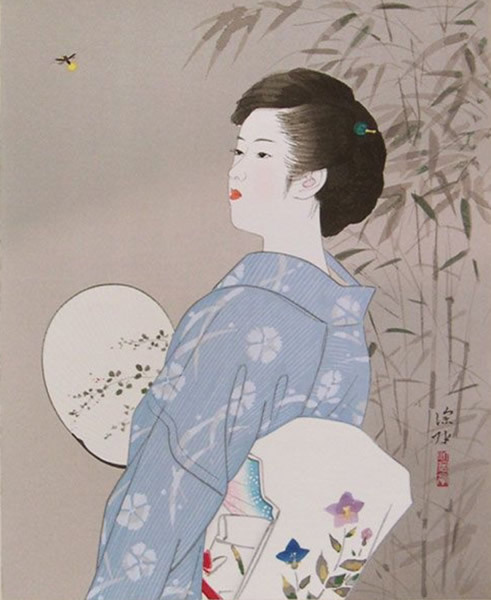 1934 - Exhibited at the 15th Teiten exhibition, and appointed to the Councilor of the Teiten exhibition. 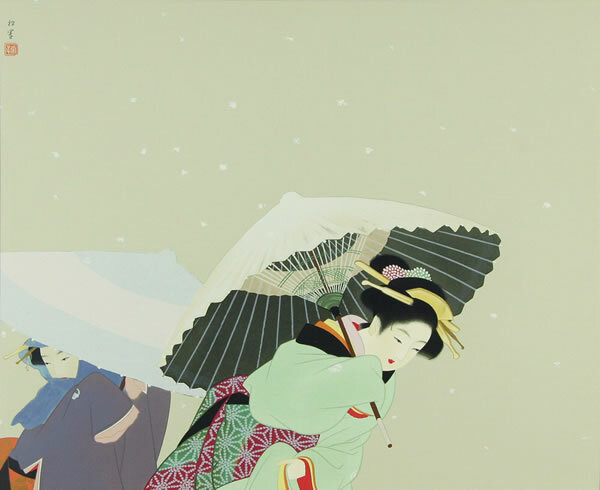 1937 - Completed Setsugekka (Snow, Moon and Flowers), drawn at the request of the Empress Dowager. 1940 - Exhibited at the New York World's Fair. 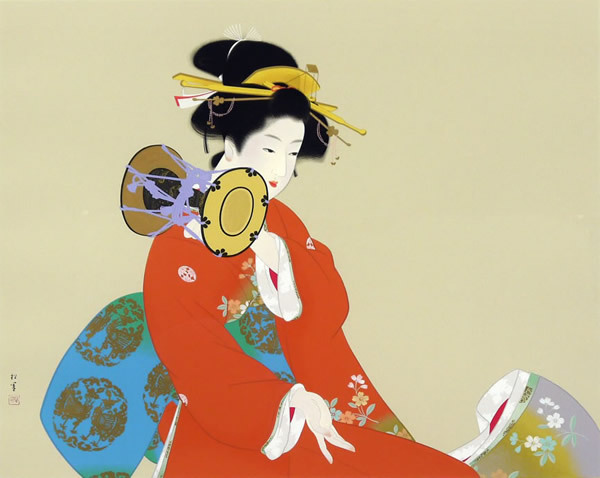 1941 - Appointed to a member of the Imperial Academy of Fine Arts (now The Japan Art Academy). 1943 - Appointed to the Judge of the 6th Shin-bunten exhibition. 1944 - Appointed to the Court Artist. 1946 - Appointed to the Judge of the 1st Nitten exhibition. 1948 - Given the Order of Culture. 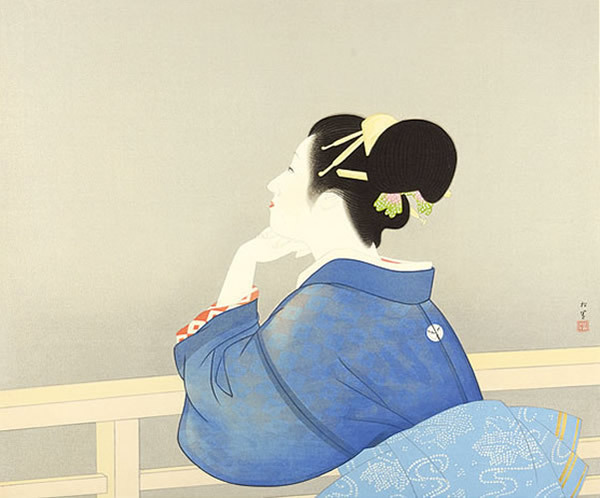 1949 - Shoen UEMURA passed away at the age of 74.